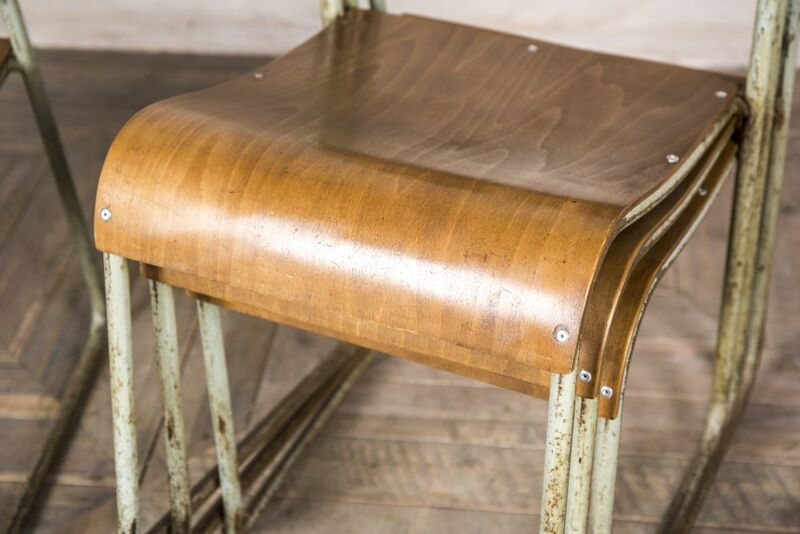 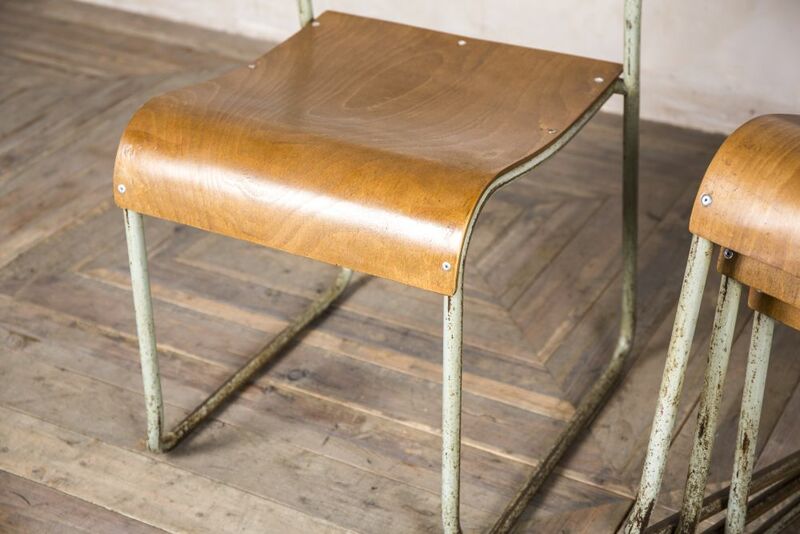 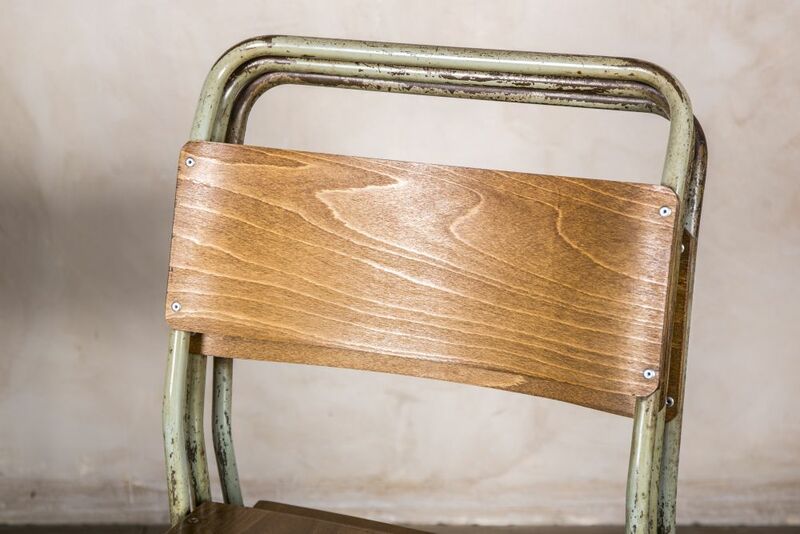 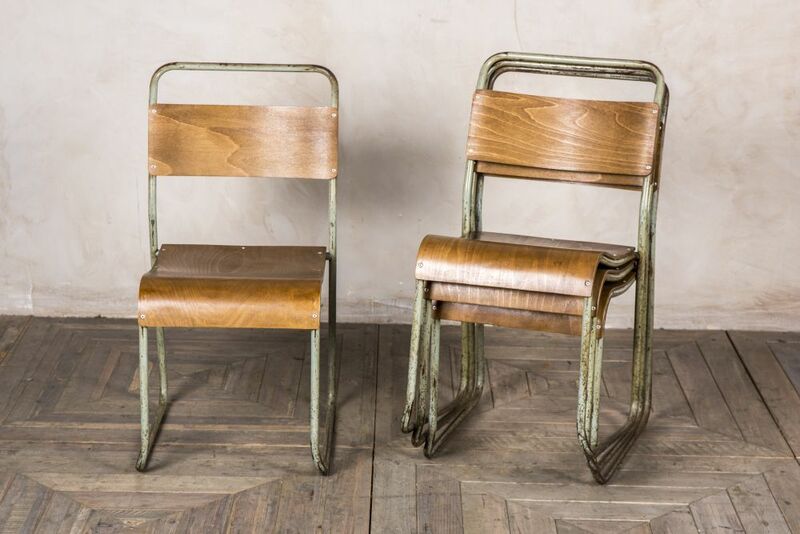 Vintage assembly hall chairs are a simple way to add retro styling to a room. 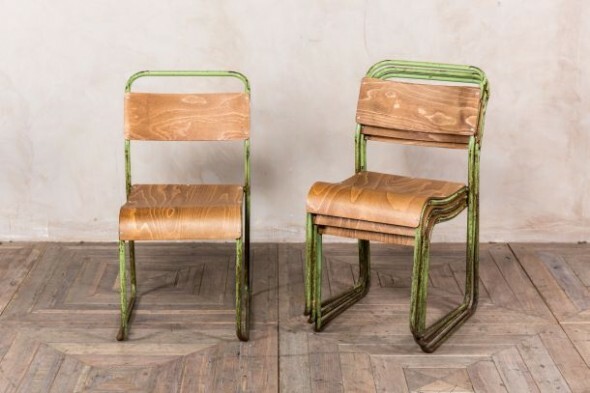 The cool mint frames on these chairs will add a pop of colour, too. 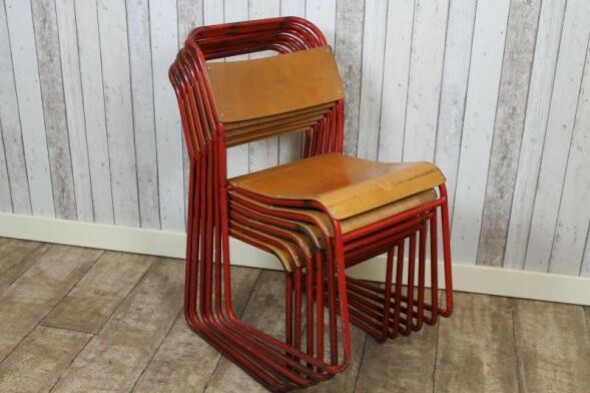 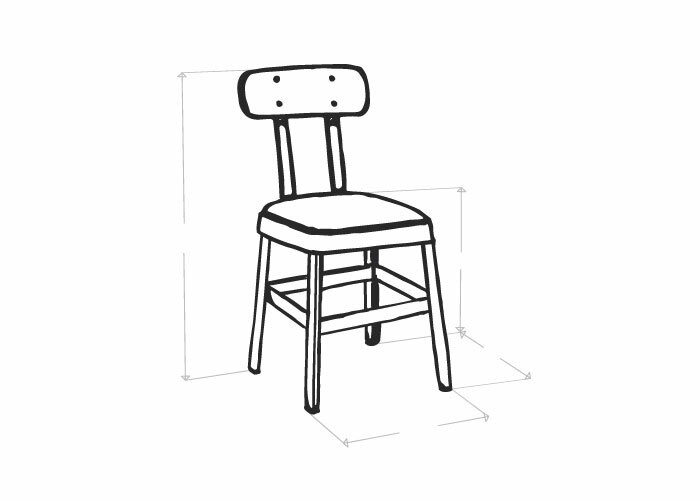 Stacking chairs are ideal for businesses and food establishments as they can be easily stacked away when not in use; this makes them the perfect chair to keep as spares. Old school chairs would look equally good as dining chairs in an industrial inspired home kitchen. 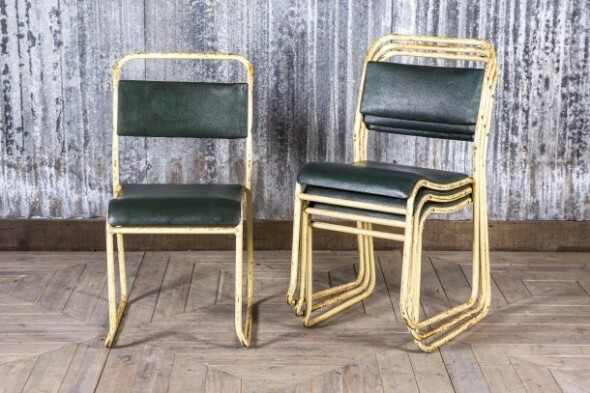 These chairs feature a tubular hooked metal frame and a steam-bent plywood seat and back rest. 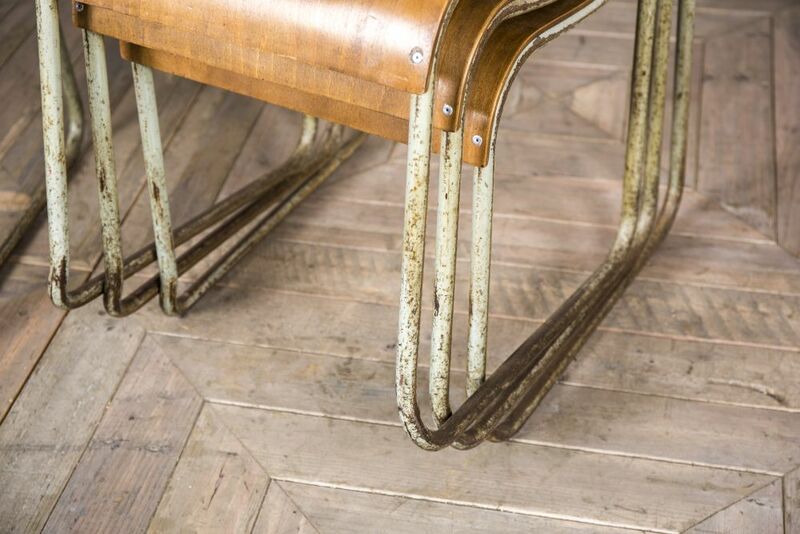 The frames are a pale mint colour, but areas of the paint have rusted or worn away over time. 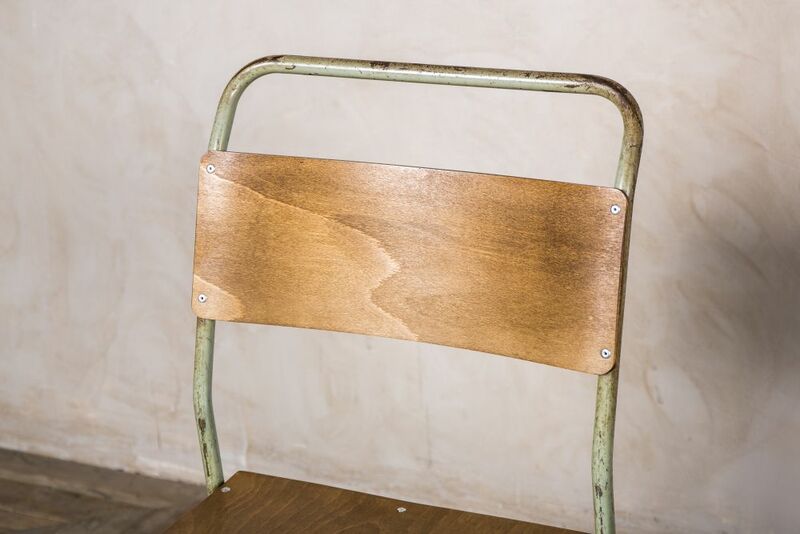 We feel that this adds authenticity to the chair. 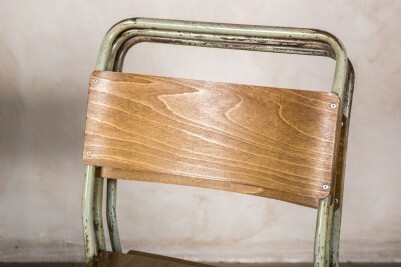 These chairs are original vintage items, so please allow for some signs of wear and tear consistent with their age and use. 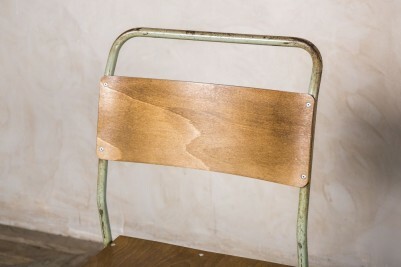 This listing is for one chair only, but more are available to purchase.